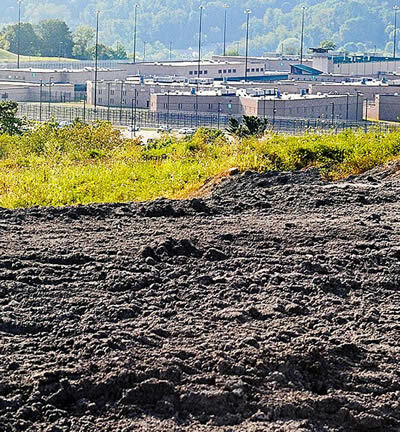 RootsAction.org joins with the Prison Ecology Project, the Campaign to Fight Toxic Prisons, and allies to oppose the construction of a new federal prison in Letcher County, Kentucky, to be built on top of a toxic former coal-mining site. Coal waste, which contains carcinogens like arsenic, lead, and mercury, is a byproduct of coal-mining that can be extremely dangerous to humans. Reports from prisoners at other facilities located near and on top of coal-processing sites reveal a host of health and medical problems associated with coal waste exposure, including respiratory illnesses, gastrointestinal problems, dermatological conditions and thyroid disorders. As a constituent, I urge you to take a stand against the construction of the Penitentiary and Federal Prison Camp in Letcher County, KY. Forcing incarcerated people to live and work on top of a former coal-mining site is a fundamental violation of basic labor rights and health autonomy. President Trump, the U.S. Department of Justice’s Bureau of Prisons, and thousands of grassroots voters have already opposed the funding and construction of this prison. You can help save taxpayers $444 million by respecting and defending the DOJ’s decision to terminate this project.